There is nothing like staying in paradise! Throughout my 40 plus years of traveling solo I have had the pleasure and good fortune to be able to experience some of the finest and most luxurious hotels in the world but there have been only a few that have given me a true rarified experience. During my week stay in Marrakesh, Morocco as part of my 50-day solo Around the World journey, I chose the Dar Ayniwen as my home away from home. This 20-room luxury riad villa, surrounded by a five acre palm tree grove which is filled with Moroccan antiques and collectables, will forever be seared into my pleasure memory as truly being an unexpected Shangri-La. As most solo travelers know, booking that perfect hotel is typically a challenge. Location, affordability, amenities and luxury quotient are few of the basic selection criteria. While all of these factors are important to me, there is one characteristic I am always looking for to separate the good choices from the best choice. This quality is authenticity with a refined, comfortable twist. Finding these types of lodging options at an affordable price is definitely a time consuming challenge, but from my years of sleuthing experience looking for unique hotels that have that extra, something special dimension, I have developed a discerning ability to pick the it place to stay that is not exorbitantly expensive. I must say, I outdid myself with the Dar Ayniwen. A unique lodging option to Morocco and other North African countries is the riad, also known as a Dar. Riads are traditional, inward designed dwellings constructed with an interior garden or courtyard. This inward facing design focus exemplifies the importance of privacy in Islamic philosophy. When entering a typical riad you are encased in a central atrium which usually includes a fountain as a focal point for reflection with the other rooms of the riad radiating off of this central entrance room. Other Islamic architectural features found in riads are pointed arches, statement doors and windows, intricate woodwork that’s painted or stained and not to be omitted, the distinctive, mosaic Zellige tiling gotten from the Persians that is used to adorn Moroccan structures and objects both inside and out with colorful floral or geometric patterns. After an exhaustive Internet search of photos, reviews and YouTube videos, I booked the Dar Ayniwen at $144/night which included breakfast served in your room or on the outdoor terrace. The property was described as a boutique luxury villa of 10 suites with 5-star service devoted to providing the 20 guest maximum occupancy with serenity, well-being, exclusivity and tranquility. The owner’s statement on the website shared, “We guarantee an experience you will never forget,” a compelling offer! Outstanding features advertised of the Dar Ayniwen included a welcome pot of mint tea and Moroccan sweets, a formal Arabic dining tent, a full-service spa with a hamam, year round heated pool, fine furnishings with oriental paintings, carpets and antiques, free cooking classes with the onsite chef in a plush tented restaurant, butler-like service for all guests, free airport and in town shuttle service, and room upgrade at no cost if available. Plus, last but far from least, the riad’s five acre paradise-like gardens filled with olive and mature palm trees, fragrant flowers such as jasmine, roses, hibiscus, orange and lemon blossoms and the owner’s aviary filled with exotic birds that roamed the property filling the air with their melodious song all blend together to create an unforgettable Moroccan oasis. From the photos, videos and reviews, the Dar Ayniwen looked to be as described exotic, luxurious and special for an affordable price but there was only one hitch: the hotel was located outside of the Medina, where most of the sites and action takes place daily in Marrakesh. As a solo traveler, I routinely seek to stay in lodging options that are in the middle of what’s happening. Being able to walk to the things I want to experience is important. This saves time as well as transportation expense, plus I get my exercise in for the day leaving more leeway to eat whatever I want to and not gain weight! Free all day shuttle service into and back from town at regular intervals until 11:30pm was touted as solving the location issue. Everything else about the property seemed just right, so I decided to with my gut and book my stay. As promised, the riad’s chauffeur was at the airport to greet me and handle my bags. The drive to the Dar Ayniwen took us near the Medina, through different sections of town and by some important public garden areas. The fabled “Red City” was unfolding in front of my eyes like something you see on television or in the movies. I was smitten. The exoticism of the vibrant accent colors against the uniform pinkish red color of EVERY building, the many vendors with street carts, the ethnic Moroccan clad men and women, and the overall hustle and bustle in the streets was electrifying. I couldn’t wait to get into town and explore! Once we left town we entered a highly exclusive residential section know as Palmeraie. My driver shared many local and international wealthy inhabitants live here and the area is known for its proliferation of mature palm trees. For a short distance we traveled down a paved, two-lane road and then all of a sudden we were on a dirt road. I was beginning to get uncomfortable; did I make the right lodging choice? For a mile and a half the driver dodged potholes. I sat quietly in the backseat and pondered my options. If I didn’t like where I was staying, I would rebook somewhere else. Then out of the blue we came to a massive arched gate with two huge Arabic doors which were elegantly opened and closed by the Dar Ayniwen staff to let us drive into the property. I was somewhat relieved. The front office personnel were gracious and welcoming. Aziz, the manager of the Dar Ayniwen, shared he was upgrading me to one of the property’s best suites, a suite named after a famous French actress who always stay in that room when she visits. I was beginning to relax now. Once I was checked in, Aziz escorted me to my suite via the villa’s charming outdoor courtyard. A prominent fountain, an meditation room and an abundance of flora and plants filled this gorgeous outdoor setting. He opened the intricately carved Moroccan front door and we entered the atrium, living room and dining room area. This was my kind of place; luxurious, comfortable and authentic. I could see myself living in a place like this! Next, we went down the hall that was covered with collectable antique French posters. At the end of the main hall, he showed me the richly appointed communal den and the full service spa with the hamam, one of the reasons I selected the Dar Ayniwen. I love to indulge in the hamam experience when I travel if it is available. He opened my movie star suite with a humongous brass key and explained all of its features. I could hardly listen, the plush room and spacious bath was fabulous. He offered me the welcome pot of mint tea and Moroccan sweets, just what I needed at the time. I shared with him I wanted to take nap before I caught the shuttle to the Medina before nightfall. For the next six days and nights I experienced what it was like to be in a true Shangri-La. I ate specially prepared dinners on an outside terrace or in the riad’s magnificent formal Arabic dining tent. I took my breakfast daily in the outside poolside courtyard. Every morning around six I would open my Moroccan French doors and listen to the birds sing. In the evening the butler would bring me my nightly glass of wine on my private terrace outside of my room while I listened to the palm trees swaying in the breeze. Several times during my stay, I walked the Dar Ayniwen’s gorgeous grounds and enjoyed observing the many exotic birds such as cockatoos, peacocks, pheasants, and more roaming the grounds. I didn’t take a dip in the heated pool but I watched other guests doing so and the hamam and massage I indulged myself in was first rate. The attentive care given to the guests and the upkeep of the entire property seemed to have a spiritual quality. From the owner to the staff, they gave me the impression they felt blessed to work at the Dar Ayniwen and accordingly, they wanted all of the villa’s guests to feel the specialness of this riad. There are not many hotels that I would stay in more than once, even if I loved the place, but the Dar Ayniwen is the exception. I found absolutely nothing I could fault. An unexpected byproduct of my stay here was meeting some of the interesting and elegant guests that frequent this riad. In one of my conversations with the owner, he shared his first customer was a famous French movie producer who enjoyed his stay so much he is a regular now and has helped the Dar Ayniwen get the reputation of Marrakech’s hideaway for French actors and movie personnel. He said a French movie had even been shot on the grounds. I wasn’t surprised! Even though I didn’t meet any movie stars, I befriended a lovely Indian couple from England who are both practicing physicians. We initially bonded while on a daylong excursion arranged by the hotel's concierge to the Atlas Mountains and consequently, now I am Facebook friends with Dr. Studi Kaul and her husband who I hope to meet up with again someday traveling somewhere else in the world. When you stay at unique places, you tend to meet unique, likeminded people. The old saying, “birds of a feather flock together,” holds true at the Dar Ayniwen. Whether they’re the real exotic fowl roaming the property or the elegant, refined guests who chose to stay here, this is paradise and every species is content in this large Moroccan Shangri-La! It was hard to tell Stephan, the owner, and Aziz goodbye but I shared, if it’s meant to be that I return to Marrakesh, I will be back for another dose of rarified days and nights at the Dar Ayniwen. If you want to stay at the best affordable luxury riad in Marrakesh, look no further. Book your stay at the Dar Ayniwen a recipient of TripAdvisor’s 2016 Travelers Choice Award. Where to Buy the Best Handicrafts in Marrakesh? This is the Place! What to know where to shop for hand-crafted goods in Marrakesh as a solo traveler? The answer lies outside the crowded streets of the Medina in Ensemble Artisanal. In my opinion, this is is the best place to buy quality Moroccan items. In this post, I’m sharing my personal tips and recommendations on shopping in this hidden gem! What is the Best Food Tour in Marrakech? This is It! Searching for the best food tour in Marrakech? 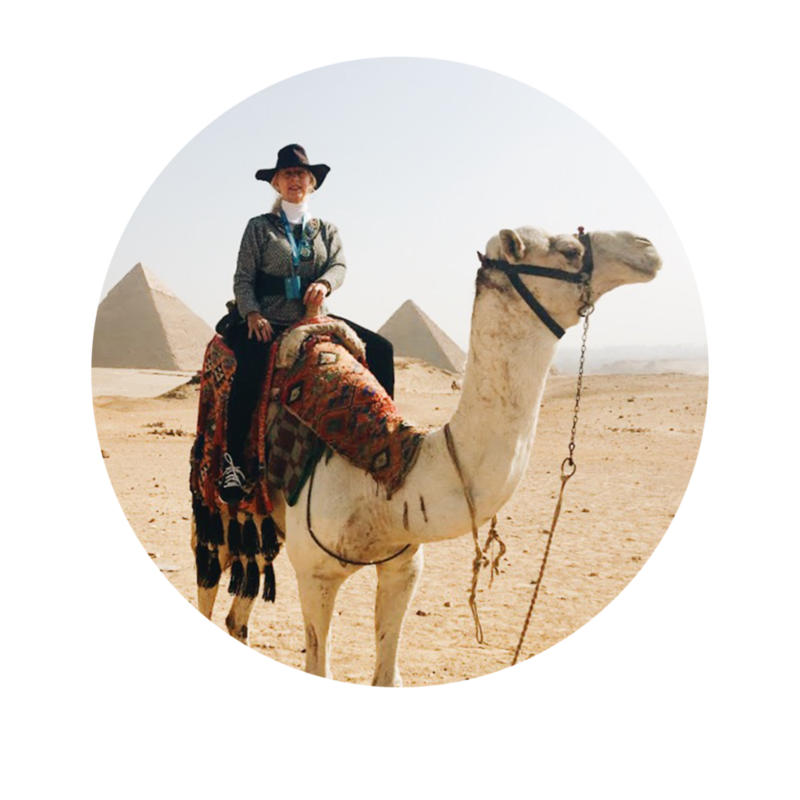 Solo travel advisor, Astrid Clements, shares her own Morrocan food tour experience and insight. Shopping at the carpet bazaars in Marrakesh can be a challenge because carpet vendors are some of the best hagglers in the world. Here are my tips on how to beat hagglers at their own game, and find that magic Moroccan carpet of your dreams! Want to Know the Cost of a Solo Trip Around the World: Here It Is!